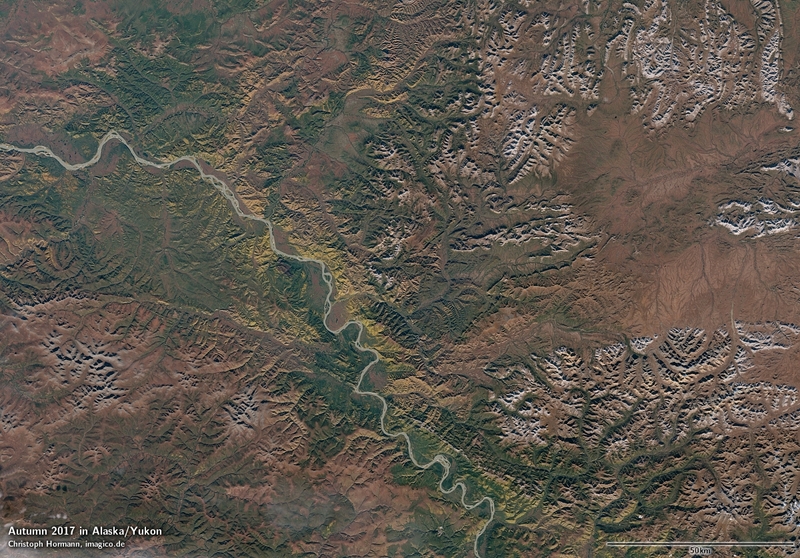 It’s autumn and the leaves are starting to change colors – matching that here a few impressions from the autumn in the north from satellite perspective. 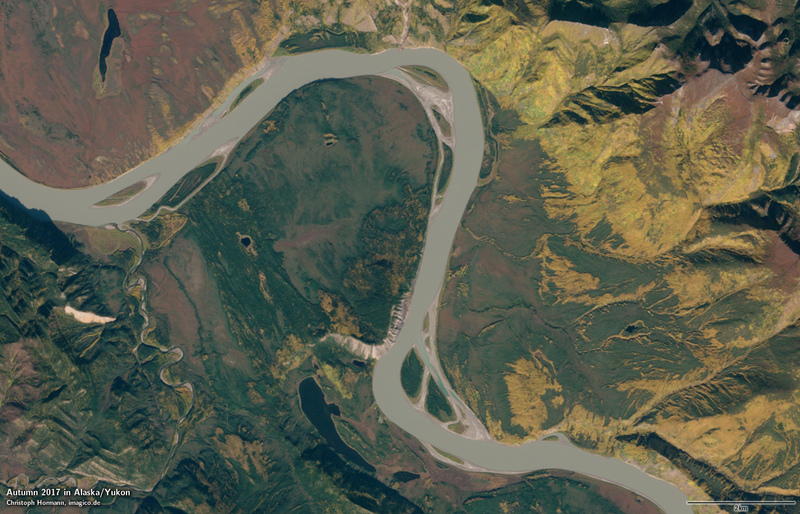 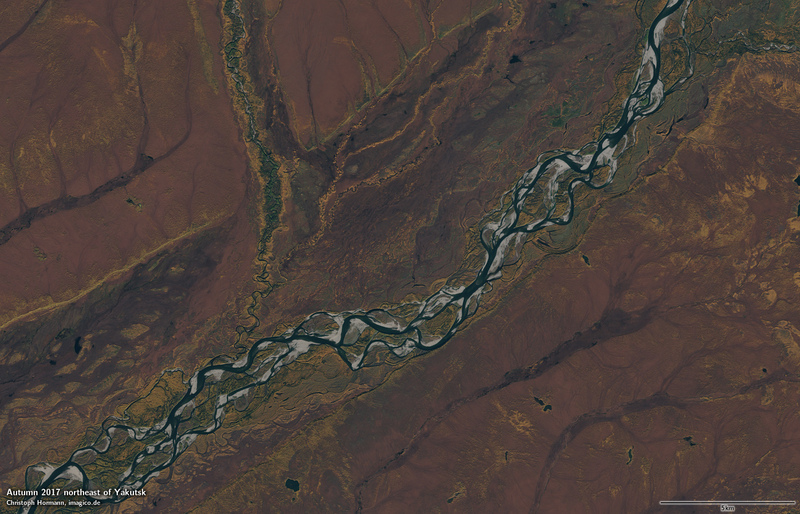 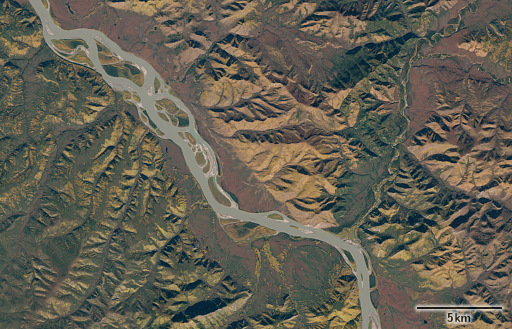 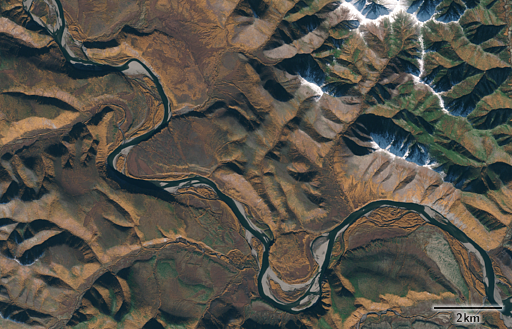 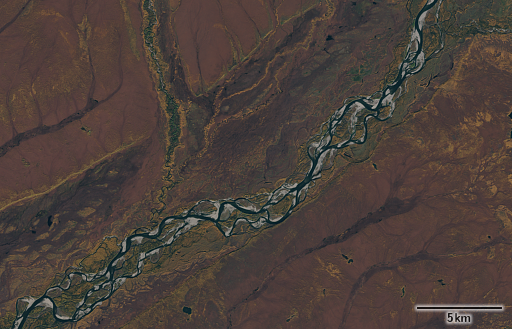 The second shows the southern slopes of the Verkhoyansk Range, Siberia around the Tompo River with early snow in the mountains. 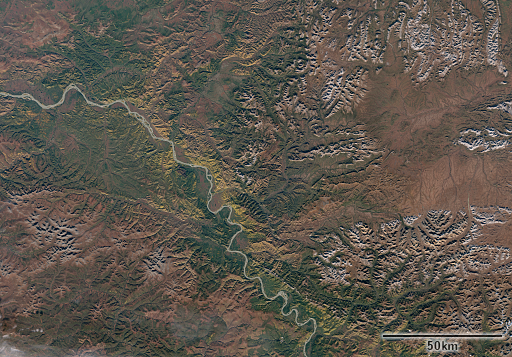 The area was also included in last year’s autumn colors mosaic. 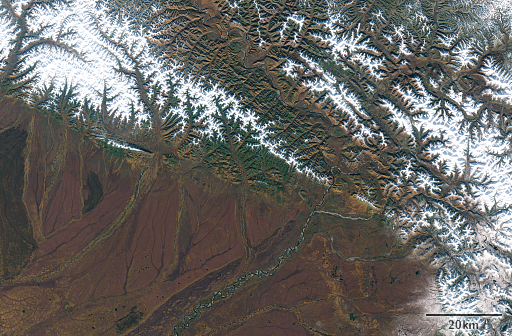 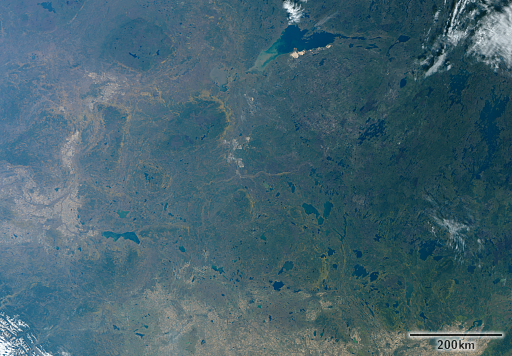 Both of these images are based on Sentinel-2 data. 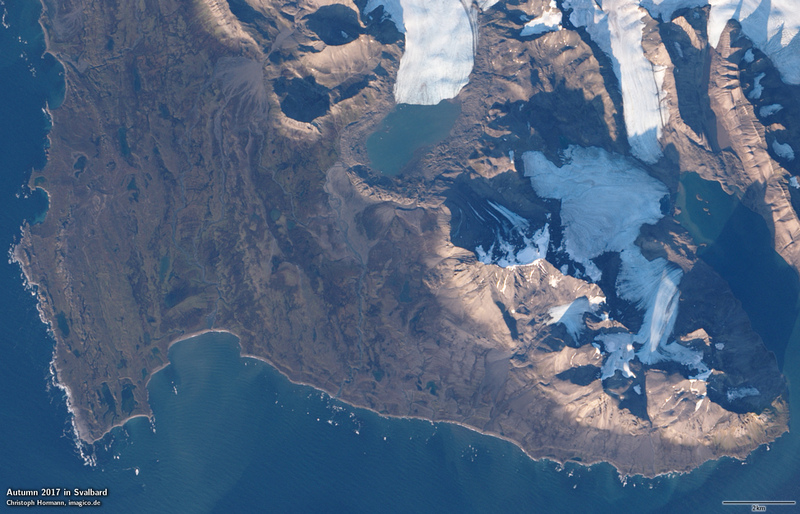 The next image shows a late autumn view of western Svalbard around Isfjorden taken by Landsat 8. Despite the high latitude warm weather can last quite long into autumn in this area so snow which had already fallen in mid September thawed away again almost completely in this October 2 image. 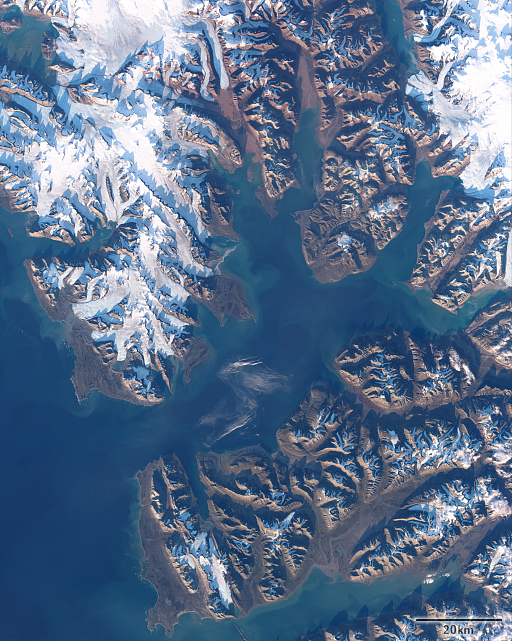 The high resolution are all available in the catalog on services.imagico.de now: Alaska/Yukon, Siberia and Svalbard.